Pavement signs are a great way of catching potential customer’s attention. 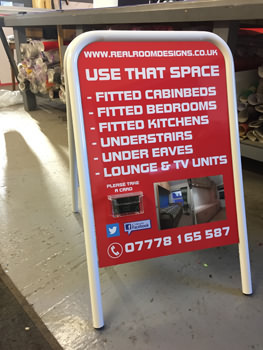 There is a variety of pavement signs available from Signs Unlimited including A-Boards, Swing Signs, Snap Boards and many other bespoke solutions. Looking for stunning pAVEMENT sIGNS?